This next game gets a thumbs-up from me and not just because it has snails in it! 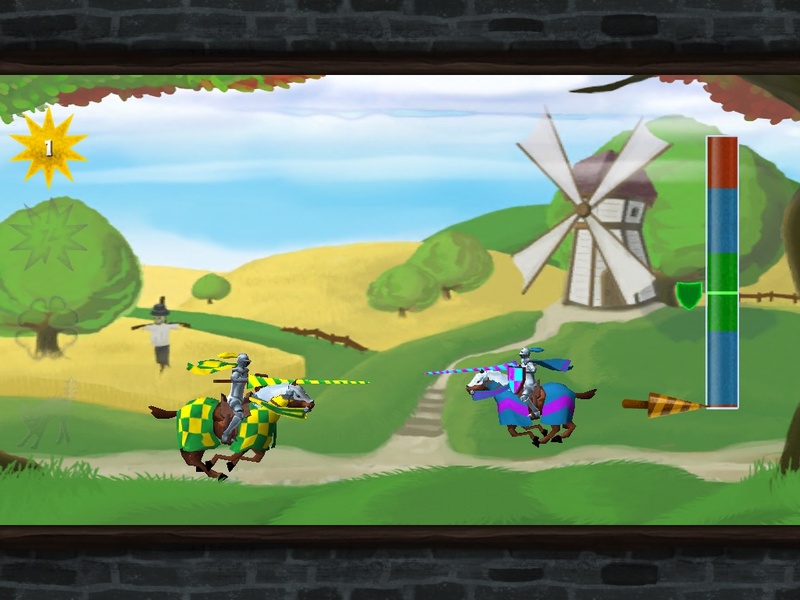 Knights and Snails (by Knights Digital) is a creative and intricate strategy game. I wonder how a ThumbSnail would fare against a Knight Snail? Wisely split your team of knights into defenders and attackers. Lead them to victory in individual jousting battles. Grab enough points to win tournaments and acquire new knights to strengthen your team. -Should you sacrifice a weaker knight early on since the round isn’t worth as much to you? 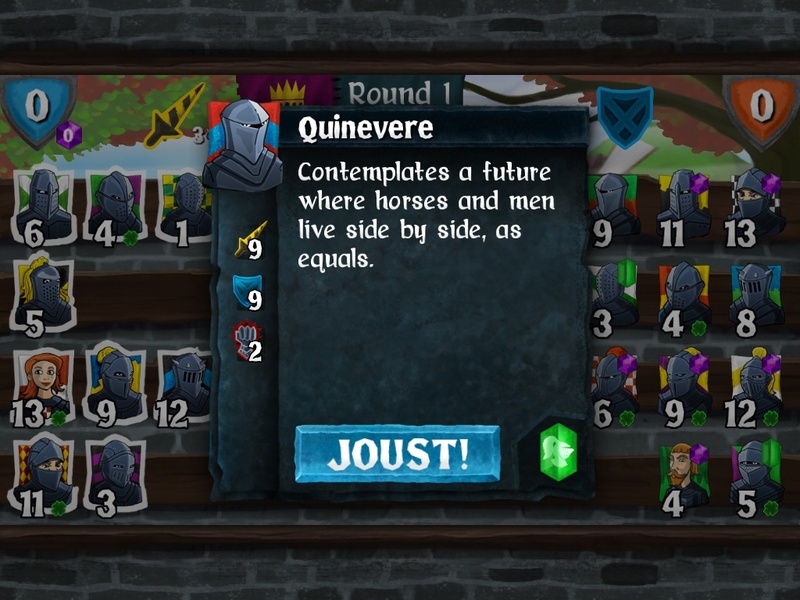 -Do you trust your jousting skills enough to save an average knight for a later round? -Can you save your best knight until the very end? Or will you be forced to act sooner than you wanted? There’s another key aspect you need to factor into your strategy as well: having the initiative versus being on the defensive. If you have the initiative, you select which knight in a row will fight. However, your opponent chooses which knight of his in that same row will defend. Thus, the match-ups you want to occur may not actually happen, and all your plans could go awry. This makes the choices above all the more complicated and results in some interesting situations where you may actually want to secede control of a round. And there’s yet more to consider: special abilities, temporary bonuses, and some randomness. Oh, and swapping the row a specific knight is in to setup a more favorable match-up. Oh! And, well… I’ll let you discover some of the finer details on your own. 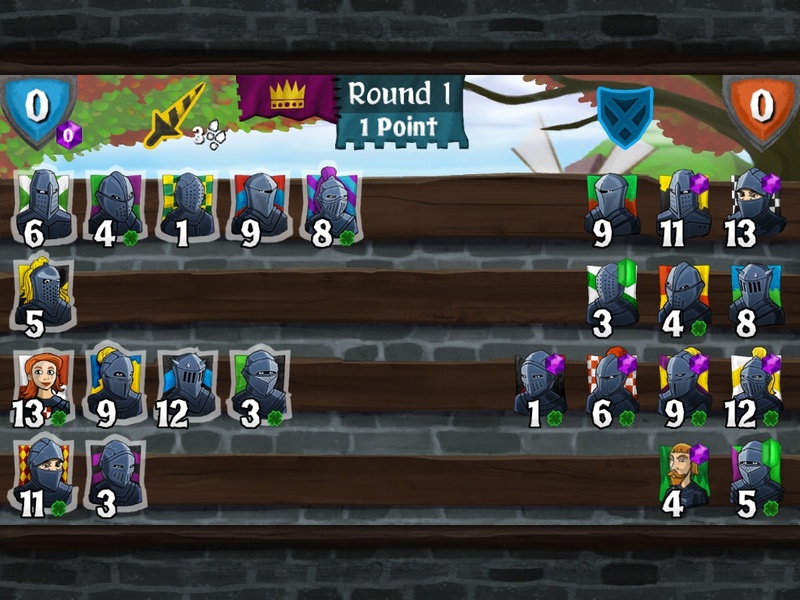 -When you unlock the ability to move your knights into different rows, think far ahead! You only get three moves per tournament, and there is no “undo action” button if you move the wrong knight into the wrong row. -Read all the character descriptions. This game is hilarious. Take time to appreciate its humor and enjoy the funny writing. …and where snails rule us all. Wow, that’s gonna be sticky. The jousting portion of the game is actually pretty fun. It’s simple on the surface, but, no surprise, there’s some strategy involved here, too. Your goal is to raise the jousting pointer (on the right side of the screen) up the vertical bar into the green portion to land the best hit. However, you don’t know how far or fast the bar will rise when you tap because each joust is different. So do you tap right away when the joust starts, hoping it settles down into the green in time? Or do you hold out as long as you can, thinking you can time it just right at the end? Or can you pull off a fancy double tap? 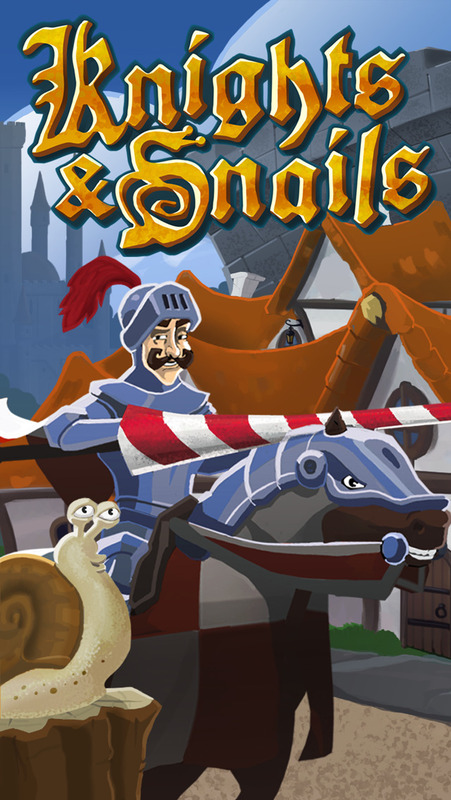 Knights & Snails (by Knights Digital) is available for free on iOS. 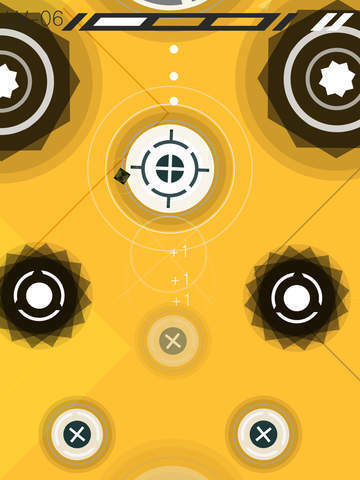 This next one is an all-around great game: Rotate – Zen Journey (by Lemon Jam Studio). It’s rare nowadays that I take the time to go back and perfect levels, but I eagerly did that with this one. Simple instructions for a very deep and complete game. Shoot the yellow diamond from rotating bubble to rotating bubble, collecting dots along the way. Think fast before your bubble disappears or spins you off the screen. Time your shots well in order to perfect a level. 1. 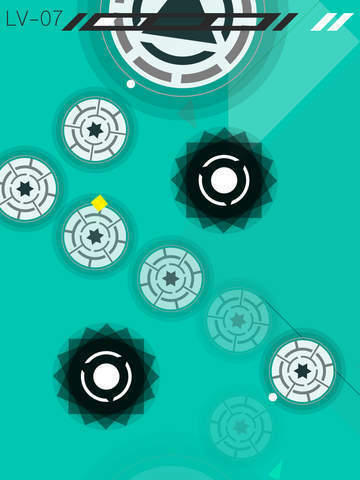 Forced to act: The game could give you an infinite amount of time to spin around on a bubble, letting you carefully plan and prepare your next shot. Instead, you’re faced with two additional challenges: bubbles disappear after a few full rotations and the rotation of some bubbles takes you offscreen. In both of these situations, you die. To finish a level, you must thus think fast and act quickly. Furthermore, you’ll have only a limited opportunity to backtrack to a disappearing bubble to pick up any dots you may have missed. Take note of the fading bubbles. Think you’ve got enough time to safely navigate back to that missed dot? 2. Speed of rotation: A lot of the bubbles rotate at different speeds. I can’t stress enough how exciting this makes the game. You’ve successfully navigated a stream of fast bubbles. You’ve somehow collected all the dots, too. You are so close to perfection. But now you’ve landed on a bubble that’s spinning at half speed. Do you have the patience to successfully time your next shot? Or have you already twitched and misfired? 3. Balance of difficulty: You don’t have to be all that accurate with your shots to safely leap from bubble to bubble. 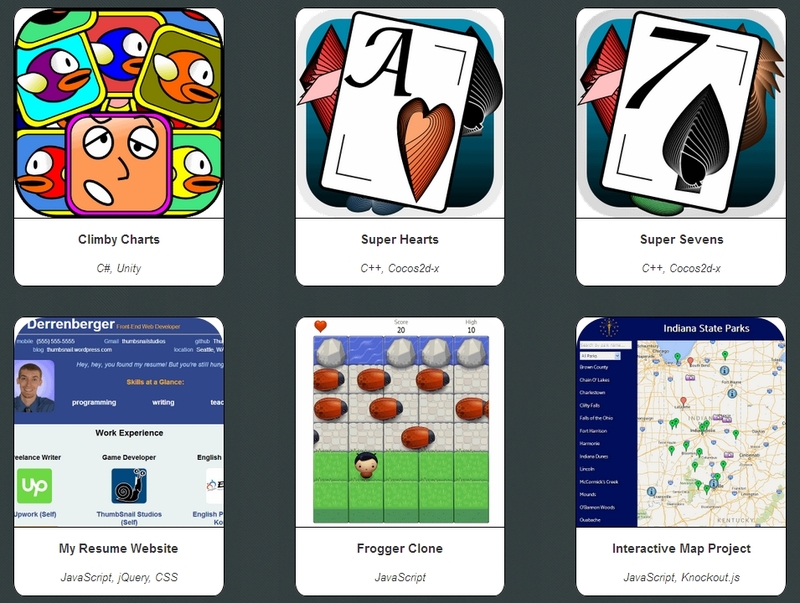 This is great for users who just want to finish levels. But if you want to collect all of the dots, you have a much smaller window to hit. 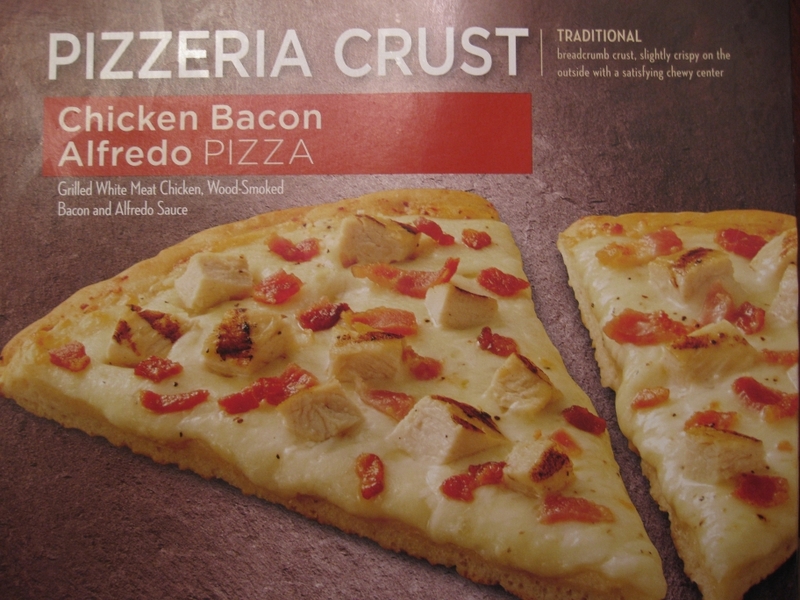 And based on the two factors discussed above, this becomes all the more intense. Oh, and those bubbles that look like buzzsaws? Yeah, they kill you instantly. Perfect the levels. This is where Rotate – Zen Journey really shines. The game is already fun, but trying to ace a level is incredibly fun. And quite challenging. I’m not sure it’s possible to ace Level 16 in the Red (first) World. It seems like the first bubble rotates in the wrong direction, making it impossible to collect that first dot and stay alive. However, if anybody has found a solution, please let me know. I’d be interested in how you did it. The abstract look and feel of this game works really well, as do the colors. A very fun and challenging game to master. Highly recommended! 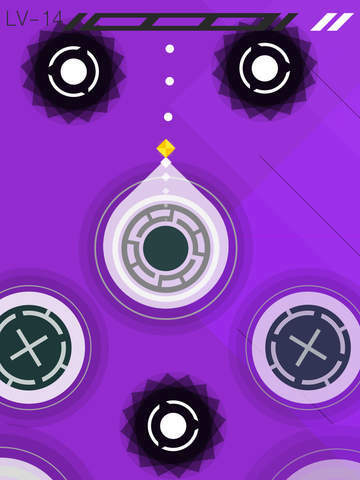 Rotate – Zen Journey (by Lemon Jam Studio) is available for free on iOS. 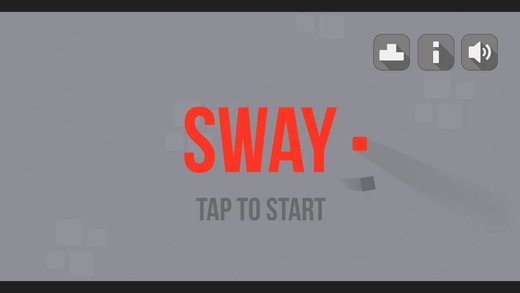 The first game I’d like to highlight is SWAY – Red Box Gray Box (by Focal Point LLC). This game intrigued me the first time I played it, and it’s continued to grow on me since. Don’t let the simple design fool you! 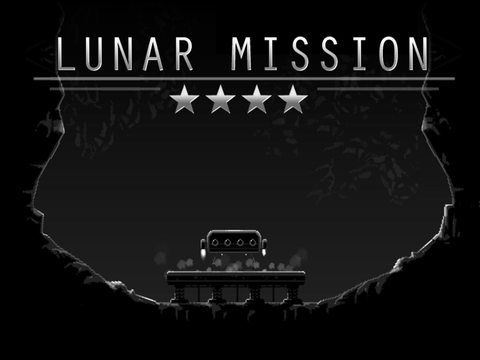 A side-scrolling endless “runner” with a very interesting gameplay mechanic. The minimalistic art design may not catch your eye, but don’t let that keep you from experiencing a creative and rewarding challenge. The gameplay. 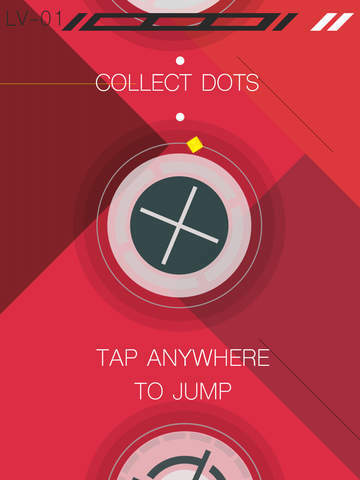 The controls are deceptively simple (all you gotta do is tap! ), but there is some real complexity in how your sprite responds to your actions. The red square you control has a gray weight attached to it. 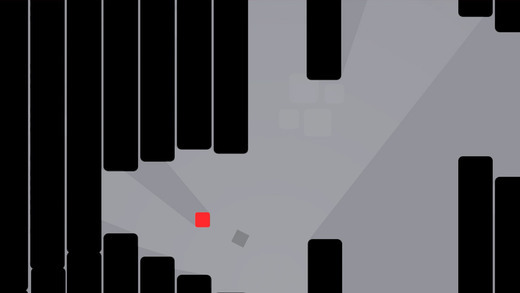 As you float throughout the stages, the gray square swings along with you, weighing you down, affecting your momentum, and altering the direction your jumps will take you. At times, it can be very hard to predict where your red square will end up after you tap. However, this seeming randomness is part of what makes this game so deep and interesting. Simple, mindless tapping will not make you successful. You’ll have to be alert and ready to make quick adjustments when a jump doesn’t go quite as expected if you want to progress far into the stages. Think you’ll clear the saw blade with ease? Perhaps not with the ball and chain! Er… square and chain. Stick with it. 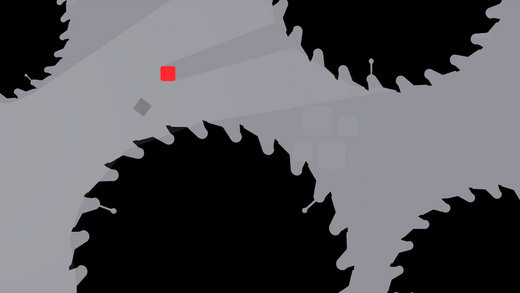 This game is punishingly hard at first as you try to get a grasp on how exactly the red square is going to travel according to your actions. ANY black surface you touch kills you instantly, so it’s going to be frustrating. You need to be willing to experiment with your approaches (quick taps, delayed taps, tap and holds, etc.) to better know how to deal with upcoming obstacles. It’s tough, but once you get a rhythm going, it’s incredibly addicting. If you swipe backwards (to the left) with two fingers (such as your left thumb and your right thumb), the red square will actually bounce back. This may give you a little extra time to respond to an approaching obstacle. Turn on the sound. The music is good and very much adds to the atmosphere and feel of the game. I hope you have a plan in mind. And then I hope you’re ready to change it! SWAY – Red Box Gray Box (by Focal Point LLC) is available for free on iOS.